One common dental emergency is a toothache. It is because of its prevalence that people believed that it is normal. But it is not. In fact, toothache pain signifies that a dental issue compromising your oral health has progressed and should be treated immediately. 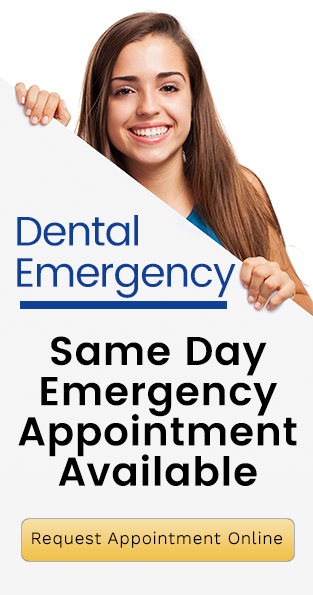 At Forster Dental Centre, we have same day emergency appointments available. For dental emergencies such as toothache, our team provides immediate care and attention. We want to relieve you of your pain and guarantee that you are completely out of danger as soon as possible. It is important to understand that first aid steps are not a solution. They subdue the pain and may slow progress of the underlying cause prior to treatment. Many turn to OTC pain relievers, but these do not offer lasting comfort and do not improve your health. Check the aching area for any food wedged between the teeth. Brush your teeth gently. Floss and rinse after. As to mouthwash, use an antiseptic one or you can prepare a saltwater solution. Take OTC pain relievers or put clove oil on the aching area to subdue pain and sensitivity. Do not put aspirin or any other painkiller on the aching area because this can cause chemical burn. If the toothache is caused by a broken tooth, apply a cold compress on the check to avoid swelling. Call and visit your dentist immediately. Treatment depends on the cause of the toothache. If for example the toothache is caused by cavities, your dentist will assess the severity of the condition to assess which dental restoration is best. We at Forster Dental Centre are dedicated to not only address the present need of our patients but also make sure that they are fully educated on the benefits of preventative dentistry.